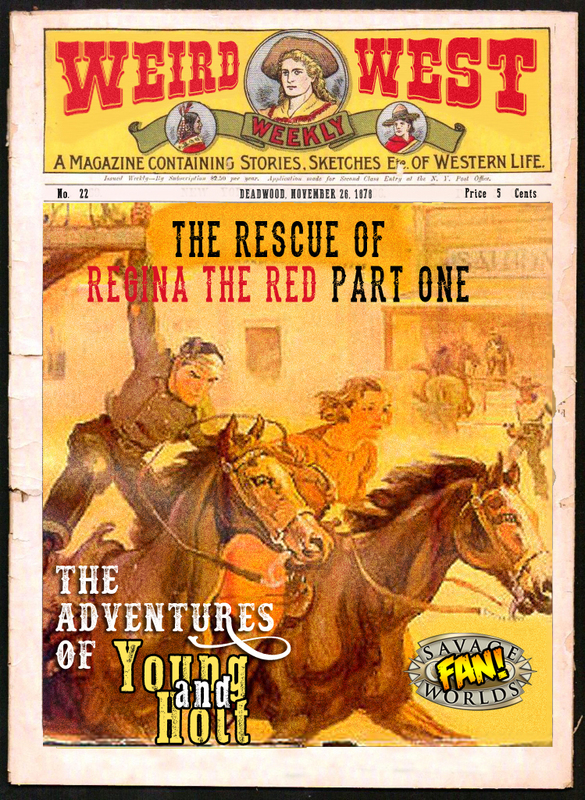 In this issue, Young & Holt, along with Joshua’s old friend, Saul, put their plan in motion to not only rescue Regina the Red, but skeddadle out of Fargo alive. I’m sure they’ve got everything well in hand. And I reckon you are wondering about our contest. We’re giving away five (5) $10 coupon codes good on the Pinnacle Entertainment Group website. Here’s what you need to do: Comment below on what you think will happen next issue. We’ll choose from all the correct winners, after the release of the next issue. Will Regina be rescued safely? Will Regina met her maker during the rescue? Will it be something completely different? I am going to guess in the weird west fashion that Regina will be rescued but meet her maker in the process. The ultimate result will be her rescue but there will be a touch and go moment in between. I’m thinking something different will come from our hero’s actions. Personally, I’m leaning towards another character’s death, like Saul or Porter. Not that I want that, but I see it as a possibility. I’m with Forrest. I think Regina will get rescued, but there will be a dramatic death scene & she has some gut-wrenching last words. Maybe she is shot while they are riding out of town and doesn’t realize it at first.